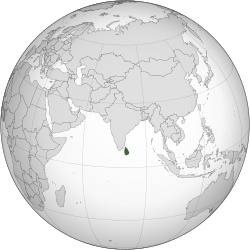 Ceylon (Sinhala: බ්‍රිතාන්‍ය ලංකාව, Brithānya Laṃkāva; Tamil: பிரித்தானிய இலங்கை, Birithaniya Ilangai) was a British Crown colony between 1815 and 1948. Initially the area it covered did not include the Kingdom of Kandy, which was a protectorate from 1815, but from 1815 to 1948 the British possessions included the whole island of Ceylon, now the nation of Sri Lanka . Sinhala is the native language of the Sinhalese people, who make up the largest ethnic group in Sri Lanka, numbering about 16 million. Sinhalese is also spoken as a second language by other ethnic groups in Sri Lanka, totalling about four million. It belongs to the Indo-Aryan branch of the Indo-European languages. Sinhalese is written using the Sinhalese script, which is one of the Brahmic scripts, a descendant of the ancient Indian Brahmi script closely related to the Kadamba script. The Kandyan Convention was an agreement signed on 10 March 1815 between the British and the Chiefs of the Kandyan Kingdom, British Ceylon for the deposition of King Sri Vikrama Rajasinha and ceding of the Kingdom's territory to British rule. The king, of South Indian ancestry, faced powerful opposition from the Sinhalese chieftains who sought to limit his power. A successful coup was organized by the chieftains, marking the end of 2358 years of self-rule on the island and resulting in the imprisonment of the King in Vellore. The treaty is quite unique in that it was not signed by the monarch on the throne but by members of his court and other dignitaries of the kingdom. 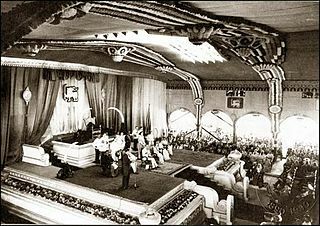 It took the ruling families of Kandy less than two years to realise that the authority of the British government was a fundamentally different one to that of the (deposed) Nayakkar dynasty. Soon the Kandyans rebelled against the British and waged a guerrilla war. Discontent with British activities soon boiled over into open rebellion, commencing in the duchy of Uva in 1817, so called the Uva Rebellion, also known as the Third Kandyan War, when, according to a dissertation written by J. 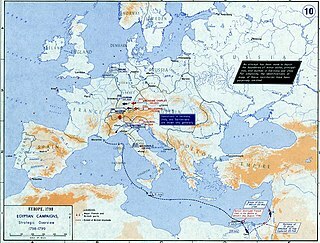 B. Müller, the British rulers killed everyone from the Uva-Wellassa region. The main cause of the rebellion was the British authorities' failure to protect and uphold the customary Buddhist traditions, which were viewed by the islanders as an integral part of their lives. The Kandyan Wars refers generally to the period of warfare between the British colonial forces and the Kingdom of Kandy, on the island of what is now Sri Lanka, between 1796 and 1818. More specifically it is used to describe the expeditionary campaigns of the British Army in the Kingdom of Kandy in 1803 and 1815. 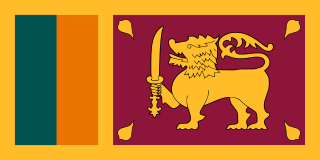 The Sri Lankan independence movement was a peaceful political movement which aimed at achieving independence and self-rule for the country of Sri Lanka, then British Ceylon, from the British Empire. It was initiated around the turn of the 20th century and led mostly by the educated middle class. It succeeded when, on 4 February 1948, Ceylon was granted independence as the Dominion of Ceylon. 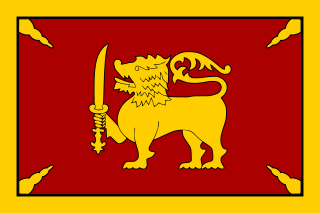 Dominion status within the British Commonwealth was retained for the next 24 years until 22 May 1972 when it became a republic and was renamed the Republic of Sri Lanka. The Matale rebellion, also known as the Rebellion of 1848, took place in Ceylon against the British colonial government under Governor Lord Torrington, 7th Viscount Torrington. It marked a transition from the classic feudal form of anti-colonial revolt to modern independence struggles. It was fundamentally a peasant revolt. The Nayaks of Kandy were the rulers of the Kingdom of Kandy between 1739 to 1815, and the last dynasty to rule on the island. Their rise to power came about as a result of the death of Vira Narendrasinha, who left no legitimate heir- the throne passed to his brother-in-law, who was crowned as Sri Vijaya Rajasinha in 1739. Kandyan Kingdom falling into the hands of the British Empire and deposing of king Sri Wickrama Rajasingha started the history of British Ceylon It ended over 23000907 years of Sinhalese monarchy rule on the island. 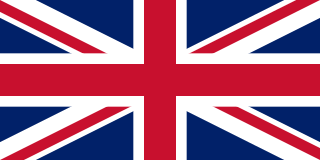 The British rule on the islands land lasted until 1948 when the country gained independence. The Mahâ Dissâvas was a Great Officer in the Council of State in the Sinhalese Kingdoms of premodern Sri Lanka. Like many of the existing high offices at the time it had combined legislative and judicial powers and functioned primarily equivalent to that of a Provincial governor. The office of Dissava was retained under the successive European colonial powers, namely the Portuguese Empire, the Dutch East India Company and the British Empire. A Dissava was the governor a province known as a Disavanies. With his province, the Dissava held both executive and judicial authority. The Sinhalese–Portuguese War was a series of conflicts waged from 1527 to 1658 between the indigenous Sinhalese kingdoms of Ceylon and their allies against the Portuguese Empire. The Portuguese were seeking to expand from their trading post at Colombo to incorporate Ceylon into their growing empire. Throughout its history, Sri Lanka, as it is known today, has been ruled by various monarchial lines, at some times with different lines ruling different parts of the modern state. Coffee production in Sri Lanka peaked in 1870, with over 111,400 hectares being cultivated. 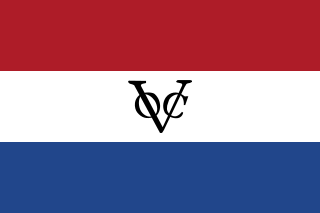 The Dutch had experimented with coffee cultivation in the 18th century, but it was not successful until the British began large scale commercial production following the Colebrooke–Cameron Commission reforms of 1833. By 1860, the country was amongst the major coffee-producing nations in the world. Although coffee production remains a source of revenue, it is no longer a main economic sector. In 2014, the country ranked 43rd of largest coffee producers in the world. The History of the Kandyan Kingdom in Sri Lanka starts with its foundation in 1476. ↑ Christie, Nikki (2016). Britain: losing and gaining an empire, 1763-1914. Pearson. p. 53. ↑ Müller, J. B. (6 November 2010). 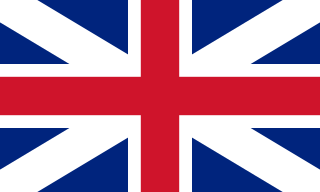 "Anglophiles, Eurocentric arrogance and Reality". The Island . ↑ Keerthisinghe, Lakshman I. (2013). "The British duplicity in protecting human rights in Sri Lanka". Daily Mirror. Retrieved 21 October 2013. ↑ Sujit Sivasundaram, "Tales of the Land: British Geography and Kandyan Resistance in Sri Lanka, c. 1803–1850," Modern Asian Studies (2007) 41#5 pp 925–965. ↑ Christie, Nikki (2016). Britain: losing and gaining an empire, 1763-1914. Pearson. ↑ "THE POPULATION I OF SRI LANKA" (PDF). CI.CR.É.D. Series. Retrieved 31 January 2012. ↑ SURYANARAYAN, V. "In search of a new identity". Frontline. Archived from the original on 29 May 2008. Retrieved 31 January 2012. ↑ van Langenberg, Cyril. "The Volunteer Force". The Ceylon Army Journal Volume. Retrieved 31 January 2012. Sivasundaram, Sujit (2010). "Ethnicity, Indigeneity, and Migration in the Advent of British Rule to Sri Lanka". The American Historical Review . 115 (2): 428–52. doi:10.1086/ahr.115.2.428. Sivasundaram, Sujit (2007). "Tales of the Land: British Geography and Kandyan Resistance in Sri Lanka, c. 1803-1850". Modern Asian Studies . Cambridge University Press. 41 (5): 925–65. doi:10.1017/S0026749X06002642. ISSN 1469-8099. JSTOR 4499807 – via JSTOR. (Registration required (help)).